Stereo equipment contains toxic chemicals that can leach into the environment, so never throw them in the trash. Small electronics contain chemicals like brominated flame retardants, mercury, cadmium and lead, which can pollute waterways. Best Buy will take back stereo systems for free. There is a limit of three items per household per day. Find the nearest store. 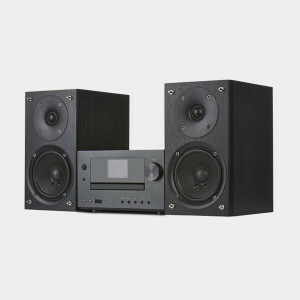 Dell Reconnect will accept any brand of stereo systems at many Goodwill drop-off locations. They accept them with or without cords. If there isn’t one near you, you can still use their free mail-back program if you are recycling Dell products or wish to purchase a new Dell product. Find out more.